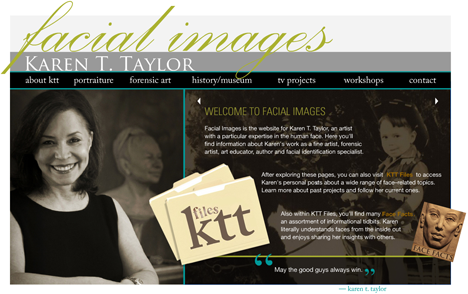 You’ve arrived at KTT Files, an extension of the website of Karen T. Taylor. Here you’ll find Karen’s personal posts about her work as a sculptor, forensic artist, author/educator and facial identification specialist. If you have an interest in learning more about faces, check out Face Facts for informational tidbits on a wide range of face-related topics. There is always something new and different to explore. Thanks for your interest!